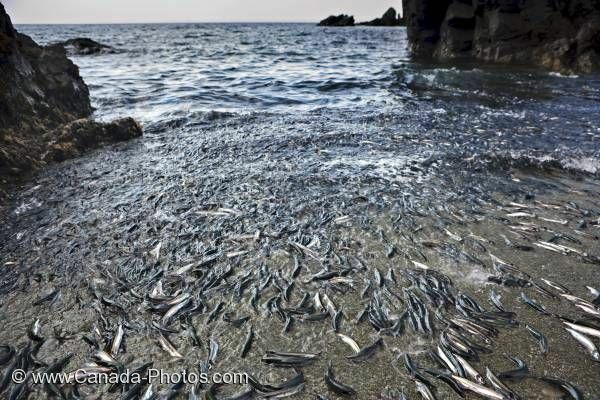 Small, silvery fish named Capelin, decorate the water at Admiral's Point in Trinity Bay, Newfoundland where they put on quite a show along the sandy shores of the beach during June and July. Each summer, these fish find Trinity Bay the ideal spot for spawning and millions of them come ashore and crowd the beach. Picture of the show put on by the spawning fish at Admiral's Point in Trinity Bay, Newfoundland.